INSTANT DOWNLOAD D.I.Y. 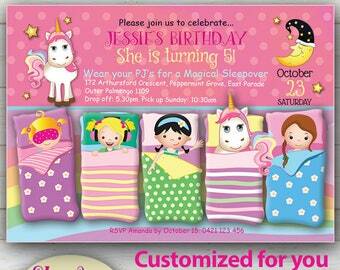 Editable - Sleepover or Slumber party invite! Mixed race girls. 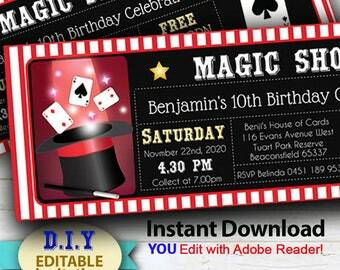 Edit in minutes with Adobe Reader, Pyjama party. 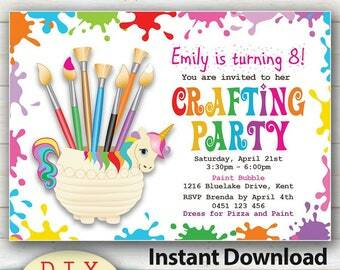 EDITABLE Art Party D.I.Y. 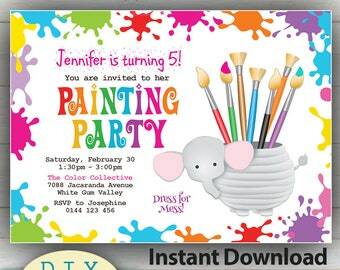 invitation, Paint Party Invites, Creative Party, Girl Craft Party Ideas, Edit at home with Adobe Reader. 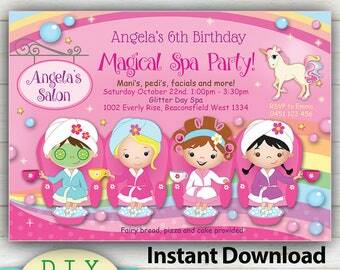 EDITABLE - Magical Spa Party Invitation, Cute Manicure or Pedicure girls party. YOU Edit at home with Adobe Reader, Vibrant print quality. Downloading your files is easy! :o). Once you have paid for your new images, you will receive a lovely email from Etsy, which will be sent to your Etsy registered email address. The email will provide a link to a Downloads Page on Etsy where you can download your new images onto your computer! You can also be retrieve your files anytime from your Etsy account. Just go to - You - Purchases & Reviews - Download. Your downloaded files (images) will come neatly enclosed in a ZIP FILE. To extract the files, right click on the Zip folder and go to Extract all. CUSTOMIZED Movie Party 5" x 7" Thank you Cards, Persoanlized with your child's party photos. Retro, film strip design. 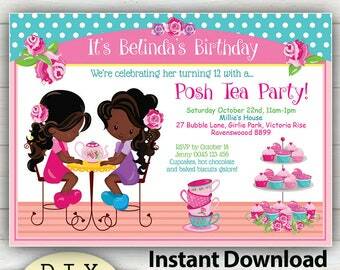 CUSTOMIZED Pamper Party Invitation with mixed race girls. 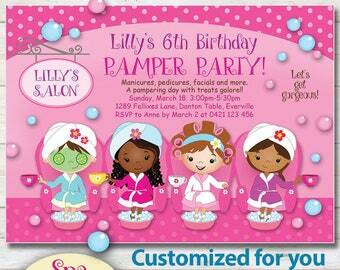 Customized for your Spa, Manicure or Pedicure party. 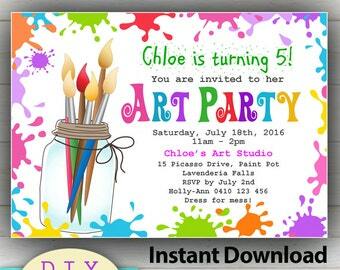 INSTANT DOWNLOAD D.I.Y Editable Painting Party Invitation, YOU Edit at home with Adobe Reader!, Fun Craft Invitations, Vibrant Colors. 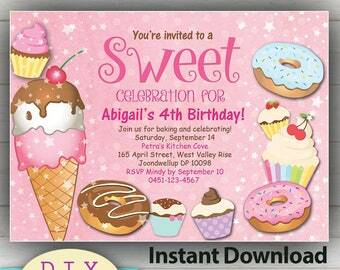 INSTANT DOWNLOAD D.I.Y Sweets, Candy, Ice cream, Donuts and Cupcakes Invitation, YOU Edit at home with Adobe Reader! 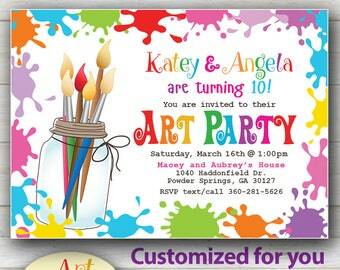 CUSTOMIZED Painting/ Art Party Invitation, Painting Party, Arts & Craft Birthday Invitation, Customized for your child's party. 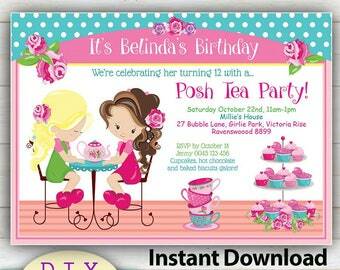 EDITABLE - Spa & Tea Party Invitation, Manicure or Pedicure party. African girls. YOU Edit at home with Adobe Reader, Vibrant print quality. 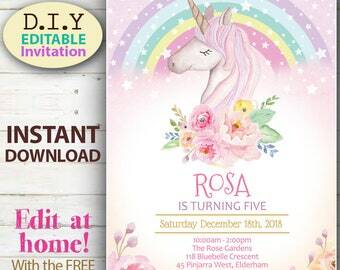 INSTANT DOWNLOAD D.I.Y Editable Crafting Party Invitation, YOU Edit at home with Adobe Reader!, Fun Craft Invitations, Vibrant Colors. 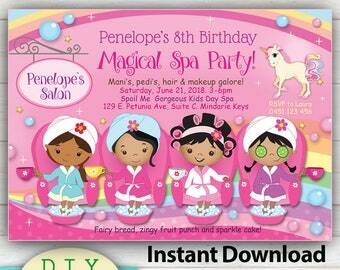 EDITABLE - Magical Spa Party Invitation, Manicure or Pedicure Brown Skin Girls. YOU Edit at home with Adobe Reader, Vibrant print quality. 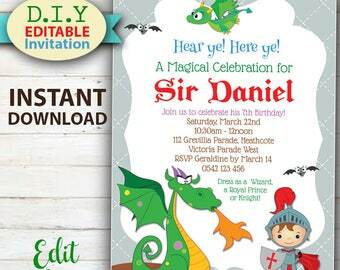 EDITABLE Dragon & Knight Invitation, Do-it-yourself Birthday Invitation, Magical Medieval Theme, Edit at home with Adobe Reader! 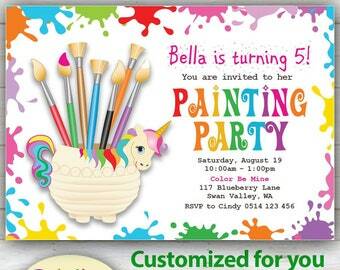 EDITABLE Unicorn Pastel with Rainbow, Do-it-yourself Birthday Invitation, Magical Watercolor Unicorn Theme, Edit at Home with Adobe Reader. 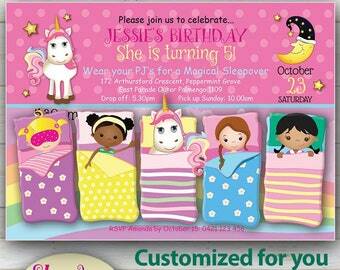 CUSTOMIZED Slumber Party Invitation, Girl's Sleepover with Unicorn Birthday Invitation, Customized for your child's party. 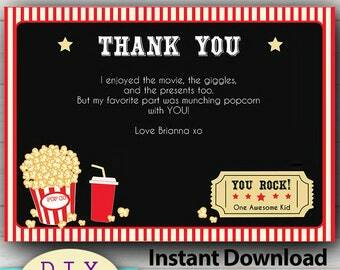 EDITABLE Movie Party Thank you Cards, YOU Edit at home with Adobe Reader, Traditional Cinema House Design, Boys or Girls Movie Night. INSTANT DOWNLOAD D.I.Y. 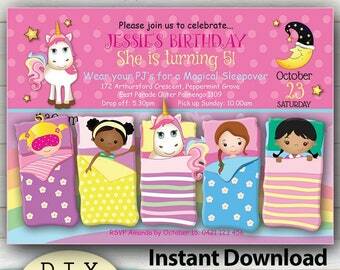 Editable - Sleepover or Slumber party invite! Edit in minutes with Adobe Reader, Pyjama party. I love this!!! 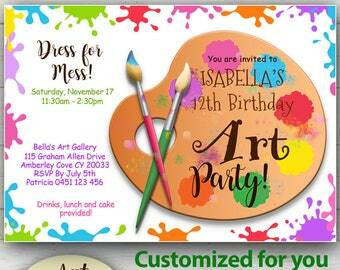 Perfect for my cousin reunion invitation! Thank you! So cute and easy! EDITABLE - D.I.Y. 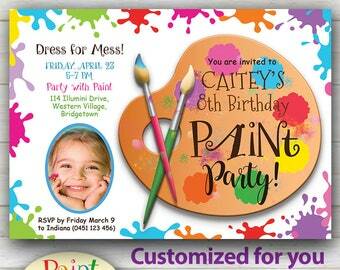 Painting or Art Party Invitation. INSTANT DOWNLOAD. Bright, colorful design, Edit at home with Adobe Reader. 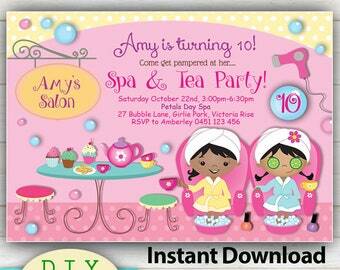 EDITABLE - Pamper Party Invitation, girls pamper party, INSTANT Download, Cute Day Spa Invitation, YOU edit at home! Hi! After illustrating for many years in children's book publishing I decided to create my own range of super sweet children's illustrations. I'm delighted to share my images that have been published in Vogue Bambini magazine, graced the walls of hospital maternity wards, libraries, schools and retail stores across the globe. My motivation for illustrating is to bring delight and happiness to children (and adults!) and to provide quality images for small businesses to apply to their products. Andrea McVeigh is head graphic designer (also chief coffee maker and no.1 dog walker) of this small design castle in Esperance, Western Australia. Andrea entered the world of design at the Curtin University of Technology and has never looked back. Urban Willow is the sister to store to our 'all childrens' divison, Little Pumpkins Pix. We are proud to claim that all images in the Urban Willow and Little Pumpkins Pix stores have been hand illustrated in-house. If you are using Urban Willow graphics for any commercial purpose, please read the 'WHAT DOES YOUR GRAPHICS LICENSE ALLOW?' section below. We understand that reading is tedious, but please take the time to read all the intricate details below, it may save you some complications down the track! if you have any questions, or misunderstand any of the terms, please contact us for further information, thank you! PLEASE NOTE: Color changes are not included with Urban Willow or Little Pumpkins Pix graphics. Like all digital stores, due to the nature of the product refunds and exchanges can obviously not be provided. As Etsy has no graphics regulations, we adhere to international standards. You can trust that all our products are represented accurately, exactly and correctly in our product pictures. As is the nature of artwork, some images are stylized or abstract but you can always trust that 'what you see is what you get'. If you are hopeful that there are more images included in the set than you can see in our product pictures, or that an image is somehow different to what you can see in the pictures we have provided, please contact us PRIOR TO PURCHASE, to clarify. Please also read ALL the product details carefully before purchasing and if you have any queries please contact us BEFORE purchasing. THANK YOU. If you believe there is damage to an image that you have purchased, please contact us and we will do our best to correct it. WHAT HAPPENS IF I LOSE IMAGES THAT I PURCHASE? You are able to request a copy of your images for up to THREE MONTHS from the date of your purchase. Urban Willow recommends that you always make a back up copy of all the files on your computer and store it somewhere safe. Technical glitches, storms and power surges can all affect your computer. Urban Willow or Etsy takes no responsibility for lost files but will gladly send you new ones within the THREE MONTH period if we still have copies! PLEASE NOTE: Files can be removed from the Etsy system for various reasons after the three month period without notice. Please do not rely on Etsy as your file storage system! Instant Download graphics: Download links will be issued to your Etsy registered email account within minutes of your purchase. Image sets that are FREE or not instant download will be delivered to your email address within 24 hours (normally well before) and will be sent in zipped folders. Extra large images will be sent via download links, issued to your Etsy registered account. WELCOME TO LITTLE PUMPKIN PIX & URBAN WILLOW! WHAT DOES YOUR GRAPHICS LICENSE ALLOW? A small commercial use* license is automatically granted with each item clip art, digital paper and digital frame purchased from Urban Willow. We do require that credit is given to Urban Willow wherever you sell or advertise products that include Urban Willow images. Please also include a url link back to Urban Willow: (www.urbanwillow.net). No credit licenses are available ($25 USD per clip art set). HOW TO GIVE CREDIT: Credit can include a statement such as "Graphics by Urban Willow", "Illustrations by Urban Willow" or "Characters by Urban Willow" etc. Plus a url link. PLEASE NOTE: (These production limits include our images up to 12" in size. To use our extra large images or to reproduce our images over 12" in size, or if you are creating large prints or wall vinyls requires an extended license). For example, if you are creating a 15" wall print with our images an extended license will be required. Licenses are very affordable ($10 USD per clip art set). If you don't wish to give credit to Urban Willow, an additional No Credit license is required. ♥ School teachers aids (such as work sheets, games or signs). ♥ Flyers or promotional materials. ♥ Not for profit wall vinyls (eg. hospitals, schools). ♥ *Digital product design (please read ACCEPTABLE DIGITAL USES criteria below). ♥You may use our images for your own business logo design for display on business cards, printed promotional stationery and related business stationery. ♥ Face book timeline (please give credit to Urban Willow, thank you). ♥ Personal blogs (please link back to our store, thank you). ♥ Etsy shop banners (please give credit to Urban Willow, thank you). (Please see 'Digitalised Embroidery Design' section below for details). ♥ Teachers Pay Teachers (Please see "Teachers Pay Teachers" section below). ♥ Zazzle (Please see "Zazzle" section below). ♥ Personalised digital INVITATIONS ONLY (Please see "Personalised Digital Invitations" section below). You may produce up to 1,000 PRINTED, handmade items from the images that you have purchased (this includes images up to 12" in size). Such items can be printed or created and sold on Etsy, in craft markets, home business and small business web sites. Credit to Urban Willow, or Little Pumpkins pix IS REQUIRED (see above), thank you. 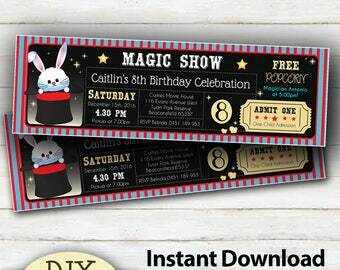 (You are allowed to create flattened invitations that are personalised for your customer). Please combine our images with other artists images, frames and/ or backgrounds to create your own original designs that differ significantly from Little Pumpkins Pix invitation designs. 1. Please don't display images directly on a white background (combine/ layer with colored borders or backgrounds). 2. Please honour us by giving credit & a link to Urban Willow where possible (on a face book page/ blog or web site). 3. Please be creative! Combine our images with other artists graphics, borders, design elements, clip art characters and colored backgrounds to produce your own unique composition. Our images are to be used as 'design resource' elements only. Our images are not to re-sold 'as is', where our illustrations form the major 'point of sale' for your products. They should be used to 'enhance' and embellish your original designs. (Scrapbook kits are for your customers to create their own, personal use 'scrapbook' memory pages). 1. Our images may be used for the content of up to 20% of a kit. Each image used must be combined with other backgrounds and images to create unique creations. For eg. You can create .png embellishments as long as Little Pumpkins Pix or Urban Willow graphics are combined with other graphics/ patterned backgrounds on each file/ embellishment that you create. You may not use our graphics as a 'stand alone' feature of an embellishment. Our digital use guidelines apply to each and every element created. For eg. you might place our image in front of a rainbow, with a bird and a flower. Please be the creative soul that we know you are! 2. Little Pumpkins Pix or Urban Willow graphics must not form the major point of sale for the scrapbook kit. Our graphics are to be used as 'design tools' to enhance your creative work. They are not to be used as re-sale graphics. 3. 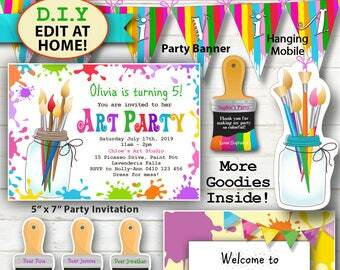 Scrapbook kits may only be sold to a third party for their PERSONAL USE. Please only display our images at a low resolution (72 dpi). Images must not be put on the web at their full size (300 dpi), thank you. An extended commercial license must be purchased to use Little Pumpkins Pix or Urban Willow images for your COMMERCIAL WEB SITE DESIGN. Licenses are very affordable. CAN I CHANGE THE IMAGE COLORS MYSELF? Yes, you can change the colors of the designs that you purchase yourself. Please note that Urban Willow retains the copyrights even if you modify the colors, thank you. You are able to request a copy of your images for up to two months from the date of your purchase. Urban Willow recommends that you always make a back up copy of all the files on your computer and store it somewhere safe. Technical glitches, storms and power surges can all affect your computer. Urban Willow takes no responsibility for lost files but will gladly send you new ones within the two month period if we still have copies! You are permitted to use our images for digitalised embroidery design. 1. PLEASE PROVIDE CREDIT TO LITTLE PUMKINS PIX or URBAN WILLOW where you advertise your designs, AND a link back to the Etsy, Urban Willow store. 2. Please only display your own digitalized version of the original image on your web site - not the original graphic file that you purchased (eg. You will be displaying the Urban Willow design, but in your own 'digitalized for embroidery' format. 3. Style or color modifications to the actual artwork - eg. changes to the style and color and artistic elements are permitted, but this does not grant you the copyrights. Urban Willow still retains the copyright for any image that you modify, and a credit and link back to the Urban Willow store is still required, thank you. 4. You ARE encouraged to COMBINE clip art elements to create YOUR OWN MONTAGE of images. (eg. Place a flower next to a bird, with a rainbow). This is strongly encouraged and allows you to express your creativity! It will also lend your products a style that is uniquely yours. Digitalizing and selling just one Urban Willow clip art image on it's own, or 'as is' is not encouraged. You are encouraged to create your own unique montage. 5. Please DO NOT claim Little Pumpkins Pix or Urban willow designs as your own. 6. Your digitalized embroidery designs can only be sold to personal crafters or small businesses that are producing under 100 embroidered items (per image) to be sold. You are NOT PERMITTED to issue any extended licensing of Little Pumpkins Pix or Urban Willow images to a third party. (ie. You cannot issue an extended license for a company to produce 500 embroidered t-shirts). Urban Willow retains the copyrights of all images. Producers can approach Urban Willow for an extended license at any time. 7. You are NOT PERMITTED to supply or sell images to ANY third party that wishes to mass produce products (over 1,000 items per image file) from your digitalized embroidery files. 8. Urban Willow reserves the rights to change these policies at any time. Yes, use of Urban Willow or Little Pumpkins Pix graphics is fine for the creation of worksheets for sale on the site Teachers Pay Teachers. Yes, use of Urban Willow or Little Pumpkins Pix graphics is fine for the creation of customised digital invitations and printed prodcuts for sale on the site, Zazzle. 3. Please be creative! Combine our images with other artists graphics, borders, design elements, clip art characters and colored backgrounds to produce your own unique composition. Our images are to be used as 'design resource' elements only. Our images are not to re-sold 'as is', where our illustrations form the major 'point of sale' for your products. They should be used to 'enhance' and embellish your original designs. Please do not copy Urban Willow or Little Pumpkins Pix party printable or invitation designs. Party printable sets and digital invitations that have been designed by Urban Willow & Little Pumpkins pix are for personal use, but may be used by small business party planners to decorate for parties. 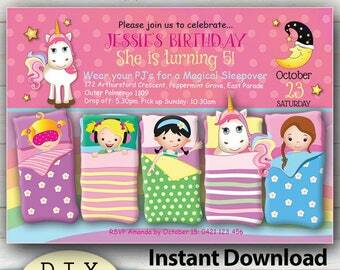 The party printable sets are not direct for re-sale as printed or digital items to shoppers. These images are copyright URBAN WILLOW & LITTLE PUMPKINS PIX. Please don't claim them as your own designs.